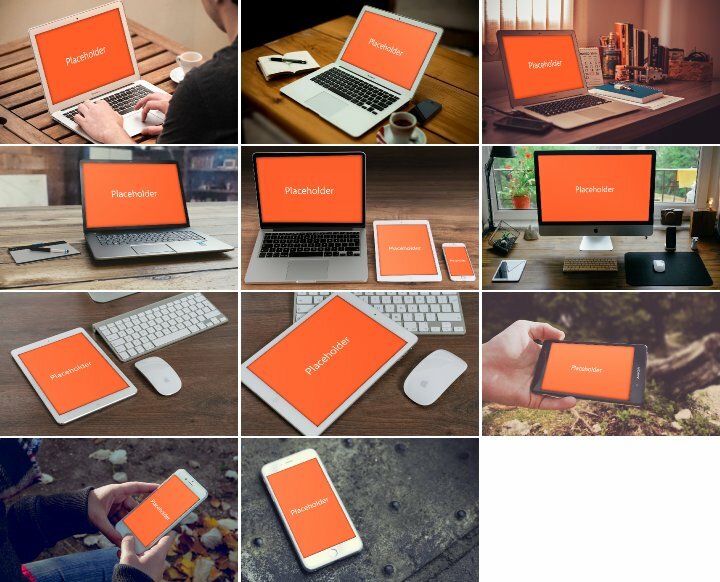 TLDR: I went through quite some trouble creating a set of device mockup templates for PowerPoint, which you can download here for free. 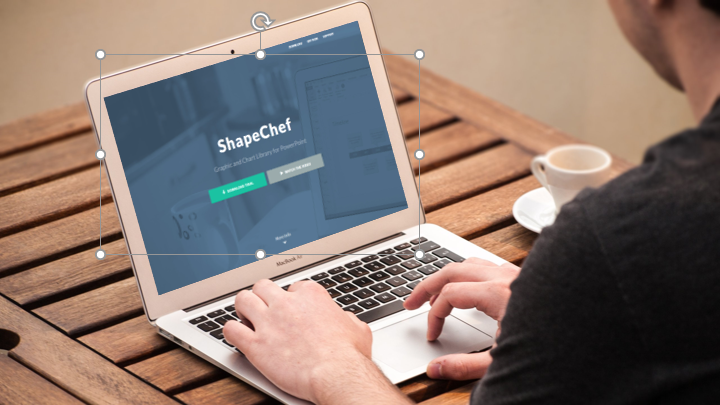 Realistic device mockups are a great way to showcase creative work, whether it’s a mobile app, a website, or any other digital product. While Adobe Photoshop is certainly most designers’ first choice for creating device mockups, I wondered if PowerPoint’s “3-D Rotation” feature could do the job just as well. I started with a photo of a MacBook on a table and a dummy image that I wanted to project onto the laptop’s screen. 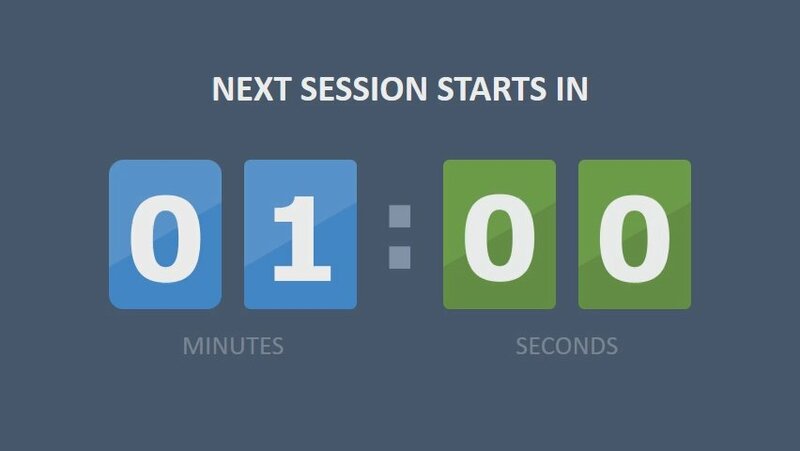 Unfortunately, PowerPoint doesn’t let you transform an image by simply dragging its vertices like Photoshop does – you have to manually adjust the rotation, perspective and size settings. Pretty quickly, I realized that guessing the right values was virtually impossible and that I had to try a different approach. My idea was that in order to determine the optimal “3-D Rotation” settings, I first had to understand how the settings actually work. 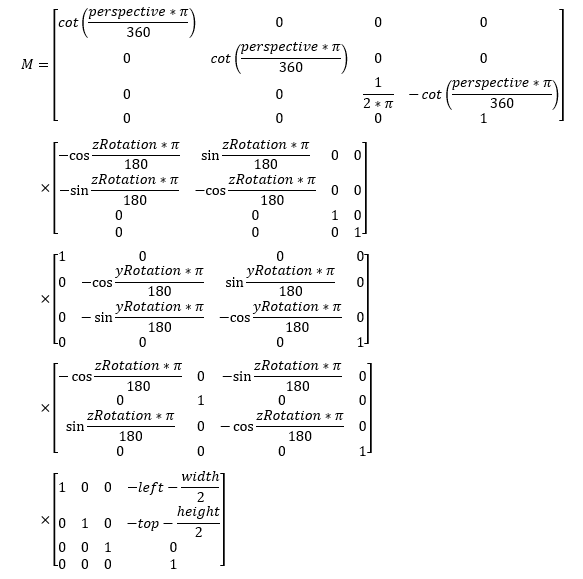 With some reading on 3D transformations and a good amount of trial and error, I finally found the math behind PowerPoint’s calculation of the coordinates of a 3D transformed shape. Let’s suppose we have a rectangle shape located at position (left, top) with size (width, height). 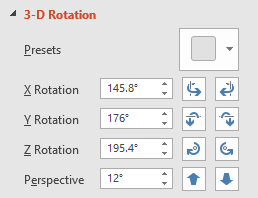 We want to calculate the coordinates of the (left, top) point after 3D rotating the rectangle using the “X Rotation”, “Y Rotation”, “Z Rotation” and “Perspective” values set in PowerPoint. Knowing the mathematics behind PowerPoint’s 3D rotation, I wrote a small, quick-and-dirty tool to find the optimal 3D settings for given input values. Basically, you feed the tool the four vertices of the screen and the size of the image to project onto the screen. It then tries possible combinations (using nested intervals to improve performance) of width/height, x-rotation, y-rotation, z-rotation and perspective to check which one gets closest to the target coordinates. I have published the source code on GitHub. 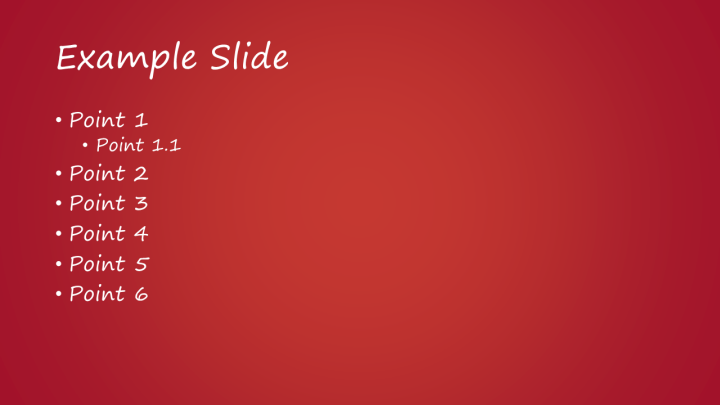 To add your own screen image, simply select the placeholder image on the slide, go to the “Format” Ribbon and click on “Change Picture.” Have fun! Click here to download the template file. It's free for private and commercial use. 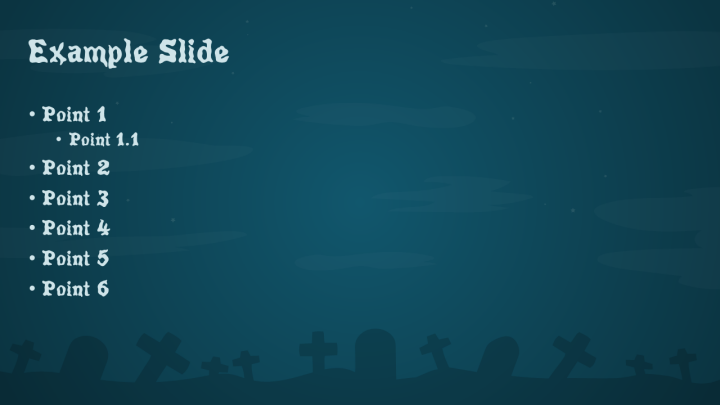 With Halloween coming, I have created a PowerPoint template to give your presentations a special Halloween touch. Below are screenshots from the template and the link to download the file. 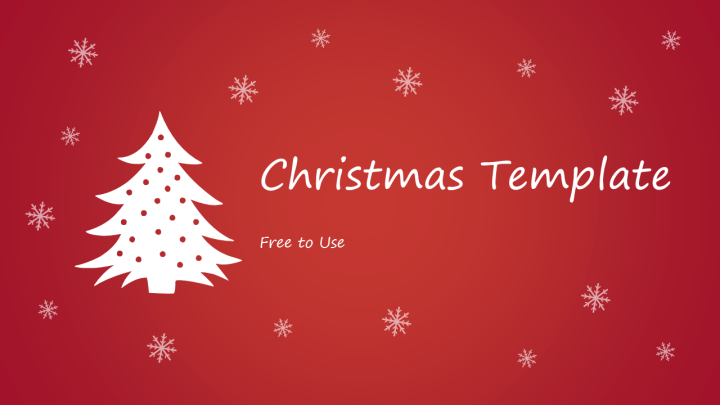 The template comes with 12 icons (pumpkin, ghost, zombie, grave, severed hand, skull, spider, bat, magic hat, witch, moon, and castle), and includes the freeware font Poultrygeist by Apostrophic Laboratories. 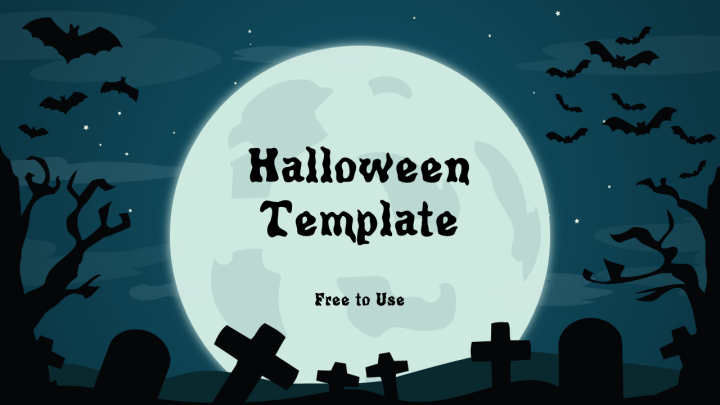 Click here to download the free Halloween PowerPoint template. This file is free for private and commercial use.